She pulled out monotony away in fashion, ripped off the pages in fashion book held rules, pushed the boundaries of conventional and what not! She has done a lot to show her fancy towards fashion while always smiling on the faces of those who smirked watching her. She is Sonam Kapoor, a multi fashionista facets having women with deep interest in fashion and inevitable love for style. Though her initial days were filled with her father’s name Anil Kapoor, now she has become synonymous for Bollywood fashion icon as she is fabulous at experimenting variety of styles though the top secret behind her fashion success lies in plotting which attire works for the occasion. 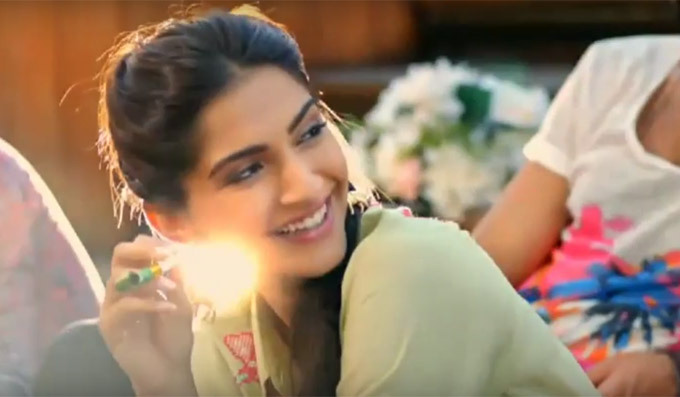 If you ask Sonam what’s her fashion statement she raves at many mottos about fashion. “I dress to my mood”, “Fashion is an extension of one’s self”,” Play safe with fashion at the red carpet even if people reckon you as a boring person because you look beautiful until you are comfortable in what you wear”. Matching her statements, every unique attire of her’s seems comfortable enough while without succumbing to the existing limits of the fashion. This Blade Runner Sean Young hair look teamed up with D&G tux and coral pink pumps is spell binding. Reminiscent to a gigantic butterfly, this over the top attire designed by Abu Jani-Sandeep Khosla is a true hit among the Sonam Kapoor’s red carpet styles. Who aren’t fond of making their first Cannes red carpet appearance to be mesmerizing and memorable? In Jean Paul Gaultier Couture, Sonam did it. This high thigh lacy black ensemble by Elie Saab is everything you may need for your next big party. Monochromes never go off from the trend but gets new versions. Don’t you think this Isabel Sanchis attire ain’t reinstating the interest to tune into monochromes again and again? OMG! Is all we say after looking at this ultra fashion creation by Anamika Khanna. Perfect and great! This Neha Taneja dress and designer Philip Treacy’s Irish hat is an intriguing combo people from Hollywood to Bollywood love to applaud. In a stunning white suit, Sonam Kapoor partook the Tata medical charity event where she looked not only gorgeous but inspiring too. A saree don’t always need to cling with its legacy. It can be contemporary and in vogue.